Samarkand is one of the oldest cities of the world, the capital of ancient Sogdiana, the legendary and fabulous city. Samarkand is as old as the ancient cities of Babylon, Athens and Rome. This city is more than 25 centuries old. During those centuries, the city has experienced a lot of great and dramatic events. Samarkand saw Saks and Massageths, Greeks and Macedonians, Karakitays (Chinese), Arab commanders and hordes of Genghiz Khan. “Marakanda” (the old name of Samarkand, known by Greeks) was probably founded in the 5th century BC. It was already the cosmopolitan, walled capital of the Sogdian Empire when it was taken in 329 BC by Alexander the Great, who said: “Everything I have heard about Marakanda is true, except that it is more beautiful than I have ever imagined ”. During Tamerlane’s (Timur the Lame) governing in 1370 Samarkand became the capital of his huge empire spreading from Indus River to Bosporus. According to Tamerlane’s idea, Samarkand was to overshadow all capitals of the world by its grandeur and beauty. His grandson Ulugbek, the great astronomer, ruled until 1449 and made it an intellectual centre. 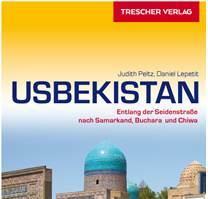 In the time of Ulugbek, the city acquired fame of one of the outstanding centers of science and culture. This great and beautiful city has a wonderful magnetic force. Its geographical location in the picturesque valley of Zerafshan gave Samarkand an advantage over other cities of Central Asia. The Great Silk Road went through this city. Famous scientists and poets of medieval orient lived and worked in Samarkand. Poets, historians and medieval geographers of Iran, India, Byzantine, Egypt and China gave the city such names as “Eden of the East”, “Precious pearl of the World”, “Ruyi Zamin” (Face of the Earth). The history of Samarkand is connected with such thinkers and scholars as Abu Ali Ibn Sino, Abu Raikhon Beruni, Rudaki, Omar Khayam, Djami, Kazi-zade Rumi, Ulugbek, Alisher Navoi, Babur. The Greek historian Arrian called Samarkand the “Royal city”. Chinese ambassador Vei Tze, the traveler Marco Polo from Venice and Spanish ambassador Rui Gonzales de Claviho wrote their impressions about Samarkand. On coins and in official medieval documents Samarkand was called “the city of those protected by Allah”. Samarkand, the capital of the great Tamerlane and Ulugbek, Central Asia’s economic and cultural Center is famous all over the world for its ancient architectural heritage such as the Registan, Gur-Emir mausoleum, Bibi-Khanum mosque, Shahi Zinda necropolis, Ulugbek Observatory and many others, competing with masterpieces of the world architecture. Most of Samarkand’s high-profile attractions are the work of Timur and his grandson Ulugbek. Timurids used to say proudly: “Let one who doubts our might have a look at our buildings”. When Uzbek Shaybanids came to power after Timurids in the 16th century and moved their capital to Bukhara, Samarkand went into decline. For several decades in the 18th century, after a series of earthquakes, it was essentially uninhabited. No name is as evocative of the Silk Road as Samarkand. For most people it has the mythical resonance of Atlantis, fixed in the western popular imagination by poets and writers. It is not by chance that Samarkand is called a city of legends. It is where ancient Eastern civilization meets the present day life. If you travel along The Great Silk Road to mystical city of Samarkand, you will feel the breathing of history itself.